A dog is a person’s best-friend and that statement certainly stands true for so many reasons. Dogs can bring you a happiness like no other, they are the best cuddle-buddy, they can make you feel a whole lot better even during the toughest of days, and they even help serve as the guidance and eyes for those who may otherwise be unable to see. We all have done something really amazing to be rewarded with dogs in our lives and now it’s time to give back to the furry friends who are more than just a pet, but a family member. In addition to being an all-around icon in the worlds of fashion, entertainment, business, and beyond, the prolific Lisa Vanderpump is also known for her love for dogs and the great efforts she puts in to giving dogs a more humane world to live in through her spectacular Vanderpump Dogs Foundation. The wonderful Lisa Vanderpump has many dogs of her own and now, she is sharing her love along with her husband, Ken Todd to help bring awareness, education, and positive treatment towards dogs. Already, the Vanderpump Dogs Foundation has made an awe-inspiring impact in the lives of many dogs. Over 300 rescue dogs have been adopted and have been welcomed into owners’ homes with a loving, warm embrace. Lisa Vanderpump and her husband, Ken Todd have and continue to use their positive platform for good to make such an incredible difference in the world and save the lives of dogs and humans, whose lives change when an adorable, furry friend is added into their lives. March kicked off in a brilliant way as Lisa Vanderpump celebrated the grand opening of her Vanderpump Dogs Foundation Rescue Center in Los Angeles, California yesterday, March 1, 2017. As soon as you enter West Third Street, it’s hard to miss the fabulous, pink rescue center with “Vanderpump Dogs” proudly displayed in front. Excellent vibes and pure joy is what a person experiences as they spend some time at the Vanderpump Dogs Foundation Rescue Center. From all of the stellar dog accessories including bedazzled collars, cupcake-designed clothing, a rhinestone, ornate water bowl, dog books, and more, the Vanderpump Dogs Foundation Rescue Center radiates the kind of care, passion, love, and fun Lisa Vanderpump has with her dogs in one outstanding atmosphere. The rescue center, which not only sells a lot of fun goodies for your dogs including dog biscuits that look so good it would make a human want to try it (of course, we don’t recommend that – leave the special treat to your pup! ), also serves as a rescue and adoption facility for homeless dogs. There are so many dogs in need of a home and through the incredible Vanderpump Dogs Foundation and rescue center, you can now help make the lives of many dogs better and give them the comfortable, caring home they deserve. Many celebrities came to show their support towards this exciting day for Lisa Vanderpump and her husband, Ken Todd. The stupendous Lance Bass and his husband arrived with big smiles across their faces and even brought two very special guests with them – their super cute dogs! Other celebrity guests include renowned celebrity hair stylist, Chaz Dean, the sensational musician, Leona Lewis, as well as Vanderpump Rules cast-members including Scheana Marie, Katie Maloney, Stassi Schroeder, amongst many others. Everyone at the marvelous event can agree that the Vanderpump Dogs Foundation Rescue Center is truly one of a kind. With chandeliers hanging from the ceiling and such a classy and elegant look, the rescue center is a phenomenal place for both dog lovers and dogs to feel safe, happy, and oh, so fantastic. 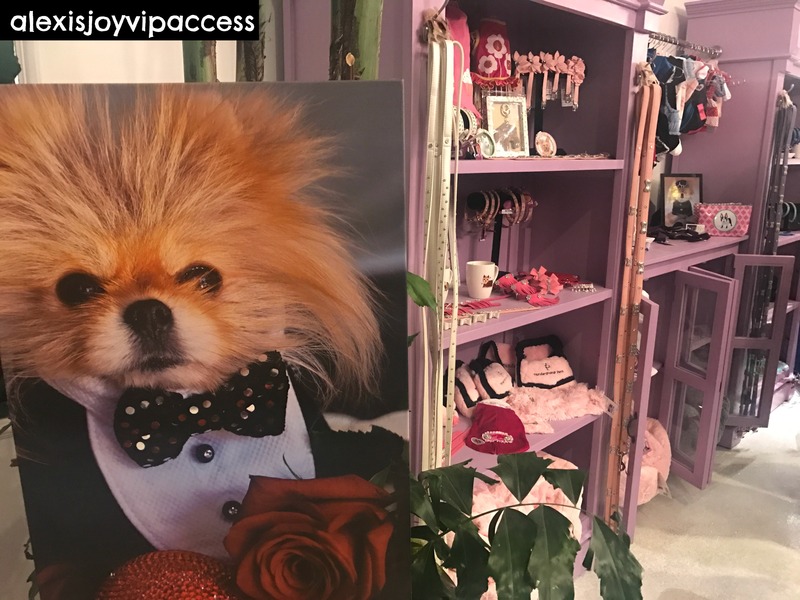 I, Alexisjoyvipaccess had the greatest honor of covering and attending Lisa Vanderpump’s Vanderpump Dogs Foundation Rescue Center grand opening! Check out some VIPAccessEXCLUSIVE photos below from the event and stay tuned for my interview with the extraordinary Lisa Vanderpump on YouTube.com/alexisjoyvipaccess! Follow @VanderpumpDogs on Twitter and Instagram and visit https://vanderpumpdogs.org for more information on how you can get involved! Next VIPAccessEXCLUSIVE: The Extraordinary Lisa Vanderpump Interview With Alexisjoyvipaccess At Her Vanderpump Dogs Foundation Rescue Center Grand Opening!